Marketing-analytics startup, Anametrix was looking to build credibility in an already overcrowded, confusing landscape of vendors that all had more than twice the amount of funding. 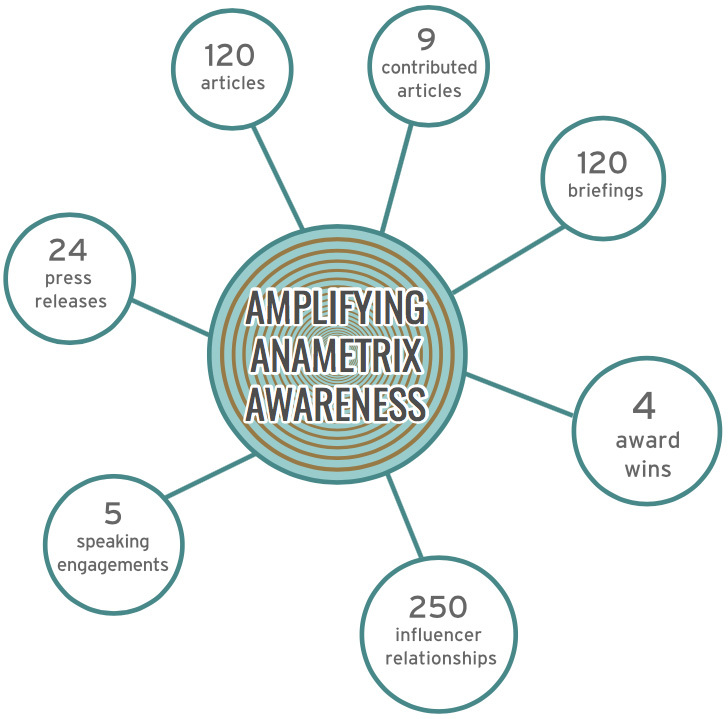 With a unique product offering and several happy customers, Anametrix needed to raise awareness and establish itself as a player in the marketing-technology space. To put Anametrix on the map, Townsend Team designed a custom program centered around strategic thought leadership. The program leveraged influencer outreach, media placements, targeted speaking engagements and awards. With the assistance of Townsend Team, Anametrix became a more recognized player in the market- ing-analytics landscape. Anametrix earned several industry accolades, such as Gartner Cool Vendor; spoke at major events like the American Marketing Association’s Annual Conference; and received coverage in top publications, including TechCrunch, TheNextWeb, Entrepreneur and ClickZ.